Until recently it seemed Apple has been entirely apathetic about its computer customers. While iPad and iPhone fans have seen nice updates churned out annually like clockwork, laptop and desktop fans have languished, often stuck with ageing processors in outmoded and overpriced devices. This review is instead focused on the 13-inch MacBook Pro with Touch Bar, 16GB of RAM, and a 8th-gen 2.7GHz i7-8559U processor. 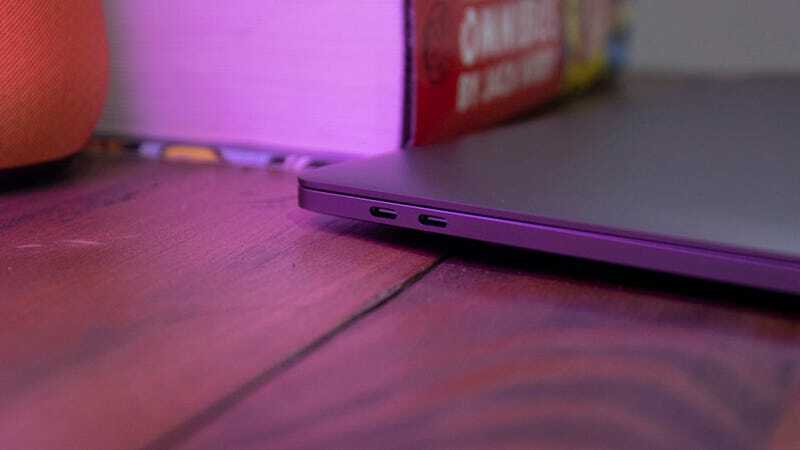 Such a laptop starts at £2,200 with 256GB of SSD storage (the i5 version starts at £1,929). It goes up to £2,400 if you actually want some damn room on the SSD and spring for 512GB. That makes the 13-inch MacBook Pro one of the priciest damn laptops available right now. It’s also one of a very few 13-inch laptops with a Coffee Lake CPU inside. Intel did something a little confusing with the 8th generation of Intel CPUs. Usually each generation is limited to one kind of microarchitecture. 6th-gen was Skylake and 7th-gen was Kaby Lake. When Intel launched its 8th-gen last year it started with Kaby Lake R mobile processors. Then came Coffee Lake desktop CPUs, and finally Coffee Lake mobile CPUs were announced in April 2018. Since then few laptop makers have adopted the 4-core Coffee Lake CPUs found in the MacBook Pro. They’d quickly adopted the Kaby Lake R CPUs when announced, so why scramble to redesign for Coffee Lake. Apple, because it took so long to update, has accidentally become the laptop maker embracing the bleeding edge of Intel CPU technology. It really stands out! 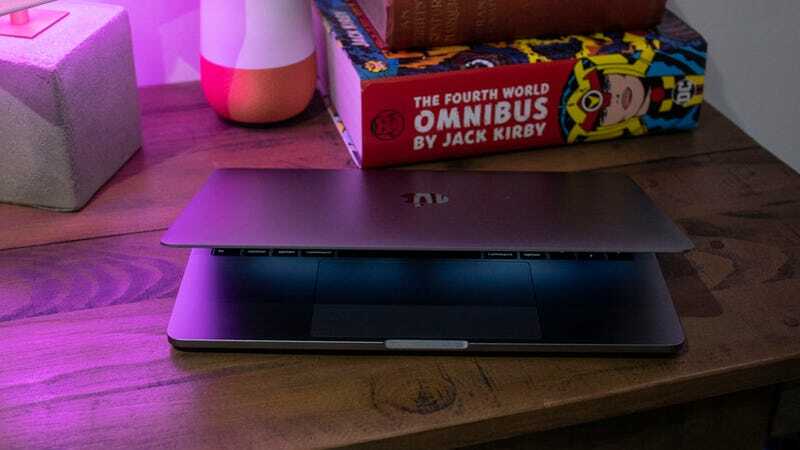 Apple’s traditional 13-inch laptop competitors (the Dell XPS 13, Lenovo ThinkPad X1 and Yoga 900 series, and HP Envy 13t) are all Kaby Lake R machines that cost an average £500-£1,000 less than the Apple MacBook Pro. 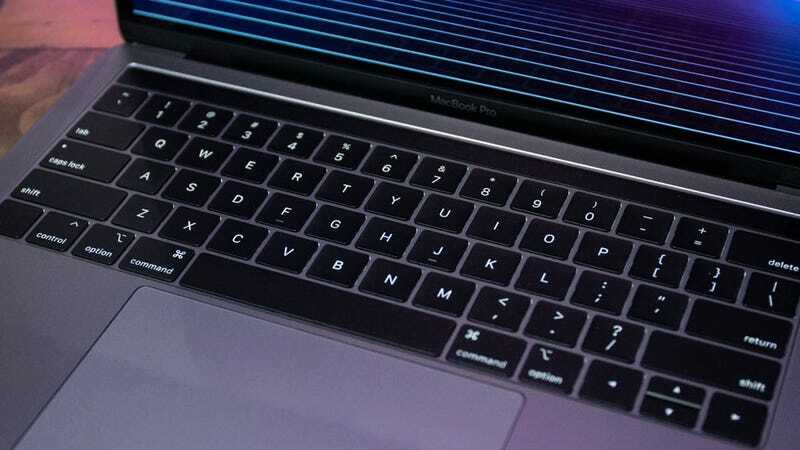 They’re also going to be slower than the 13-inch MacBook Pro with Touch Bar. In Geekbench 4, a synthetic benchmark, the MBP had a multicore score of 18328 while the Dell XPS 13 had a score of 15516. Which means it should theoretically handle tasks that rely on multiple cores in the CPU faster. That means rendering files in Premiere or Final Cut Pro or processing files in Blender. Thanks to some wicked fast storage the MacBook Pro also screams through Gizmodo’s Photoshop benchmark, which resizes a series of RAW image files and converts them to JPEG. This benchmark tests the speed of the CPU, but the biggest speed differences are always dependent on speed of the storage itself, and the MacBook Pro is fast. The Dell XPS resized and saved all the images 48.49 seconds. The MacBook Pro did it in 26.37 seconds – almost half the time! Besides a very reasonable battery like the MBP also has a slightly faster integrated GPU than the GPU found in the Dell XPS 13. Which means in our Civilizations VI benchmarks, which measures average time it takes to render frames in the game at 1080p on high the Dell had an average time of 140.9ms and the Apple laptop had an average time of 128.5ms. 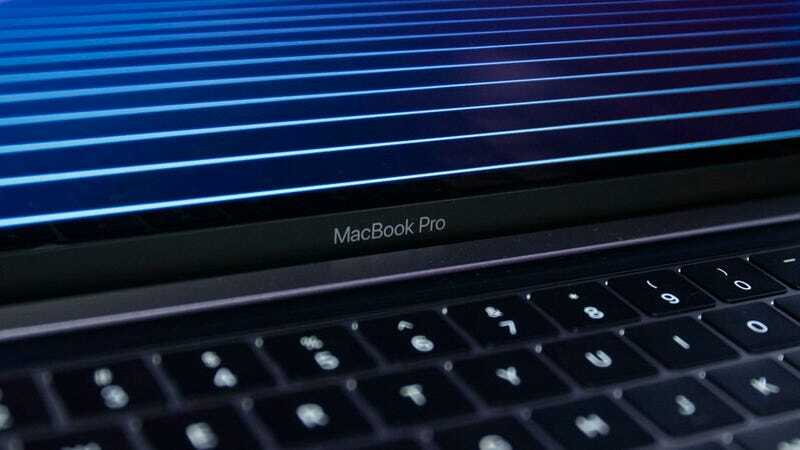 That doesn’t make it an ideal system for gamers – Macs still have lacklustre game support and you’ll still need an external GPU for anything more lag sensitive than Civilizations – but it makes it a less painful option that previous generations of the MacBook Pro. And really that’s who this MacBook Pro is intended for – the weary Apple laptop devotee. 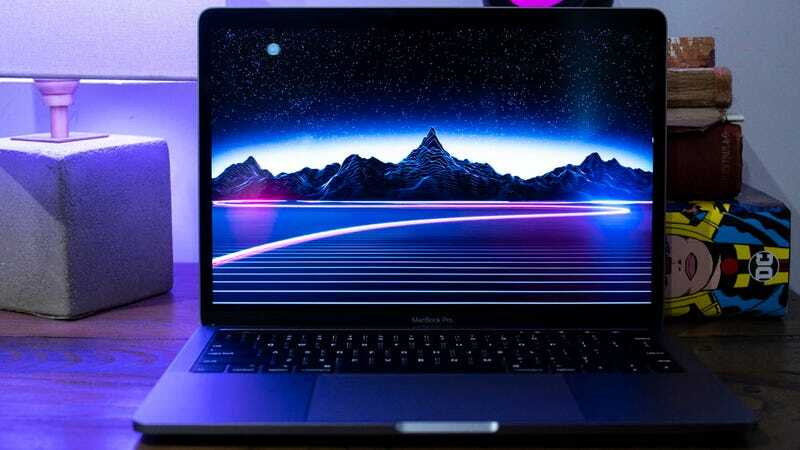 Apple has made a big deal of the fact that it wants to be taken seriously again as a laptop designer after a few years of lacklustre updates and overpriced and underpowered hardware. That’s why it’s put not just new processors into its updated notebooks, but the fastest Intel processors it can theoretically cram inside. It wants to make a statement!